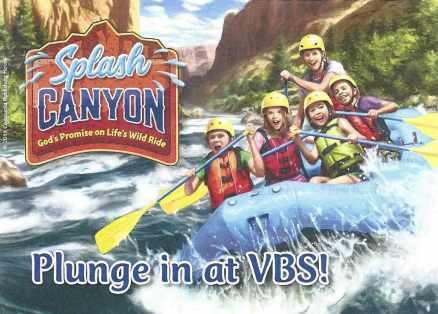 We are getting excited about Vacation Bible School being right around the corner! This year our theme is "Splash Canyon". We will be learning about our relationship with God and how we can have piece and joy with him. Thursday and Friday: Dinner will start at 5:30pm. Bible School will be from 6-8:30pm. Saturday: Bible School will be from 9am-1pm. Lunch will be served at 11:30am. Sunday: Vacation Bible School Sunday at Hebron (the kids will perform their songs for the members of the church).